2019 Family Saturdays will be held on May 25, June 15, July 20, and August 10. Come enjoy a field trip for families with special hands-on activities for kids. 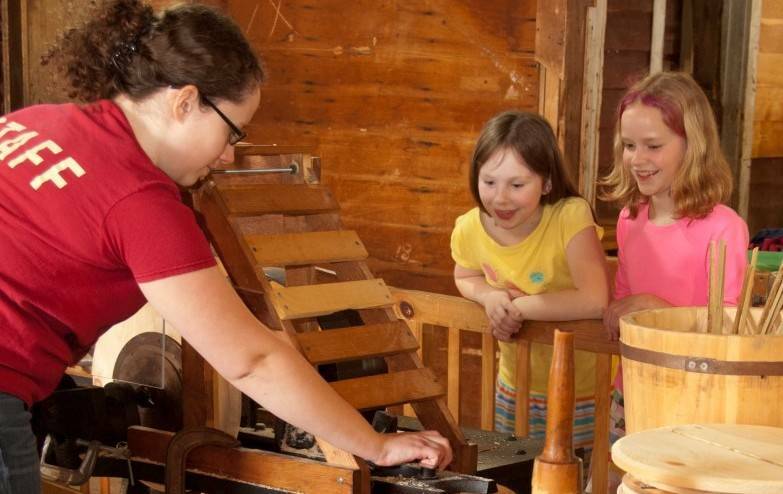 Take a kid-focused guided tour of the Mill’s historic water-powered sawmill, gristmill and woodworking shop, and see how water powers the mill and its century-old machines. Be sure to stop in to the Learning Lab, which has a variety blocks, gears, and circuits for kids to build and explore. On Family Saturdays, up to two adults will be admitted free of charge when accompanied by a child under 18. Children aged 13-18 will be admitted free of charge as well. Children 12 and under always receive free admission to the Museum, even for special events like Independence Day Celebration, the Antique Engine Jamboree and the Woodsmen’s Festival.